Today's Google Doodle, Google logo, is for the 102nd birthday of Agnes Martin. That is why the logo looks like stripes or big vertical lines. Agnes Martin was an abstract artist or painter who was born on March 22nd. The interesting part for me is that today is also my birthday and I always wondered if the personalized birthday logo overrides the Google Doodles. In other words, Google will show you a birthday logo for your own birthday, if Google knows your birthday and you are logged in. 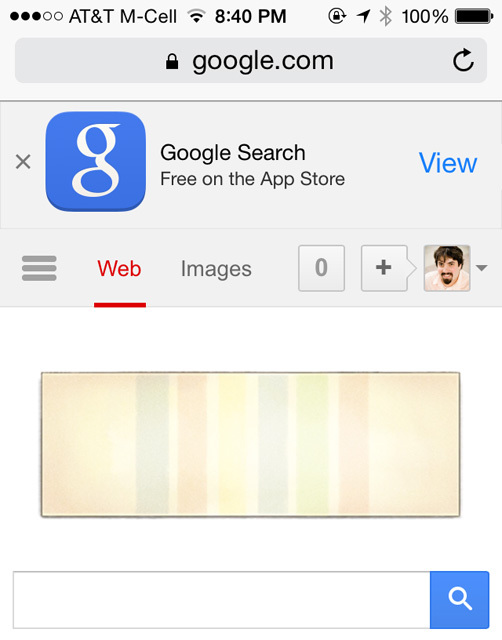 Being that today is my birthday, I wondered if Google would show the Agnes Martin Doodle or my very own birthday logo. What did Google do? They did both. In any event, this is not about my birthday, it is about Agnes Martin who was born on March 22, 1912 in Macklin, Canada and died on December 16, 2004 in Taos, New Mexico. You can learn more about this painter and artist at Wikipedia.